What does Virginia say about working class women? This week in one of the women’s studies classes I teach, our discussion centered around Marxist-socialist feminist theory. After class, I wondered: What would Virginia say? The answer — at least one of them — was close at hand. In “Life as We Have Known It,” her account of a 1913 meeting of the Women’s Co-operative Guild, Virginia Woolf writes of her “benevolent spectator” status at the session. I am struck by the empathy that Woolf expresses in this piece. She talks about the working class women “who worked, who bore children, who scrubbed and cooked and bargained” and contrasts them with women like herself who sit in comfy chairs reading books and take exotic trips to picturesque places. Middle class women may express sympathy for women of the working class, but their sympathy is “fictitious,” Woolf argues. For women of privilege have no idea what it is like to heat bath water for a husband who works as a miner and scrub his blackened clothes by hand, she says. They don’t know what it’s like to be sent out to work in the fields at the age of eight or be comforted by a glimpse of the sun through a factory window. They don’t know what it’s like to rely on old magazines for their only reading material. 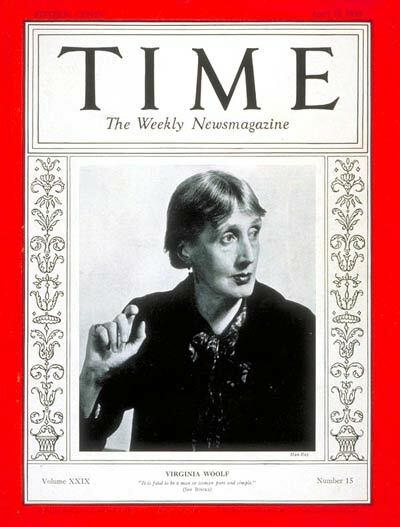 One myth about Woolf is that she was an apolitical effete snob who had no awareness of issues regarding class. I think this essay proves otherwise. Roy Johnson has posted a review of the Hesperus Press book in which this essay appears, The Platform of Time: Memoirs of Family and Friends on the Mantex Web site. You can read his review here. The Platform of Time, published in 2007, also contains Woolf’s account of the infamous Dreadnought Hoax, and for the first time in book form, her complete memoir of her nephew Julian Bell.